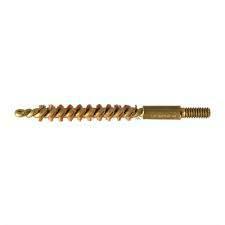 HomeAccessoriesCleaning and MaintenanceBrownells J-B Bore Bright Bore Finishing Compound – 2 oz. 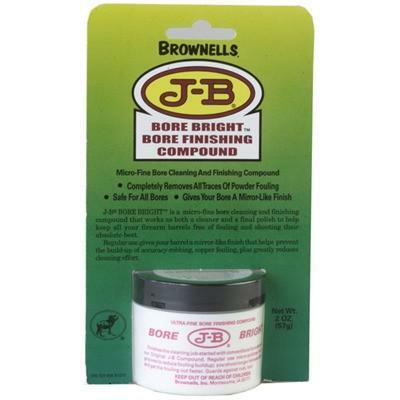 Brownells J-B Bore Bright Bore Finishing Compound – 2 oz. A micro-fine bore cleaning and finishing compound that works as both a cleaner and a final polish to help keep barrels free of fouling and shooting their absolute best. 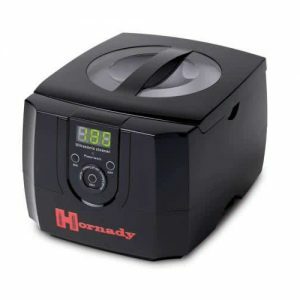 Regular use gives your barrel a mirror-like finish that helps prevent the build-up of accuracy robbing copper fouling, plus greatly reduces cleaning effort. Clean your barrel as you normally would, then after cleaning with J-B Compound, follow with J-B Bore Bright to achieve a super clean, final polish. At the range, regular use of J-B Bore Bright between strings of fire minimizes the accumulation of jacket fouling to help maintain consistent accuracy. As a bore cleaner, the soft, oil-paste formula liquefies as you use it to quickly remove fouling, copper, lead, and powder residue in rifles and handguns, plus plastic deposits in shotgun bores. Because J-B Bore Bright is absolutely non-embedding it wipes easily from the barrel with a dry patch. 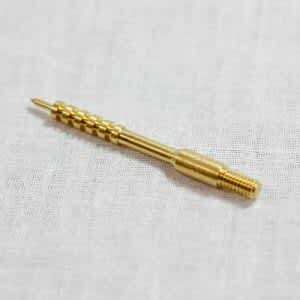 You never need to worry about Bore Bright harming your barrel.